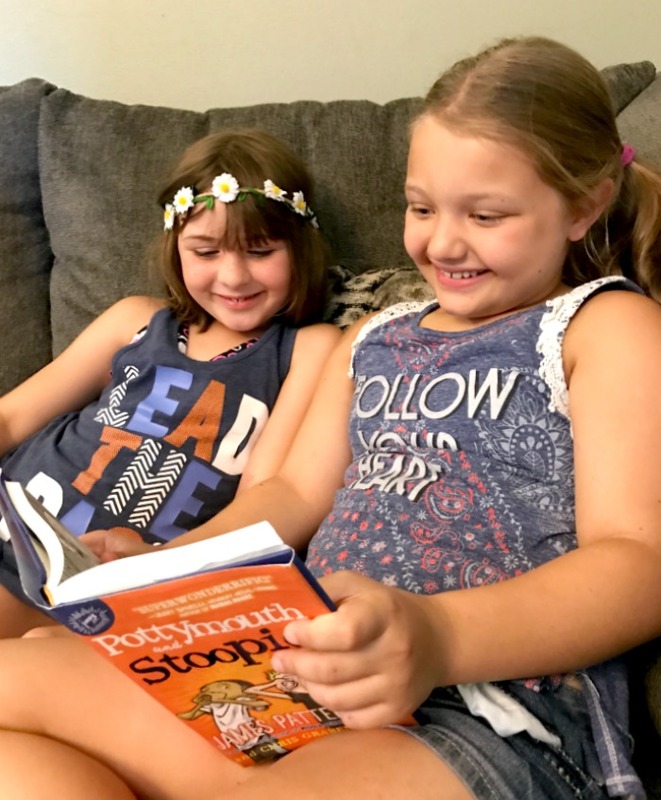 Today we have partnered with JIMMY Patterson Books to share this post about a very important topic. Bullies! Bullying is something that many of us have had to experience or witness first hand. Unfortunately it’s become an epidemic among kids especially since kids are being bullied not only in person but also online. As parents we should be doing everything we can to help our kids from becoming bullied or even becoming THE bully. Let’s face it. None of us want to hear that it’s our kid that is being mean to someone else. But it can happen. Fortunately there are many ways that you can stop this behavior before it becomes a problem. There are simple ways that you can help your child to not be a bully and to not become bullied themselves. Many times a kid that is being a bully is actually being bullied by someone else. Thats why it’s important to talk with your kids frequently. Leave that line of communication open so that they can always come and talk with you. They need to be able to vent their frustrations. If another parent comes up to you and tells you that your child is bullying theirs, please take it seriously. I know it’s easy to become defensive and think that your child could never be a bully but this is an issue you shouldn’t take lightly. Take the time to talk with your child and the other parent to find out what is going on. One of the most important things that you can do for your kids is to get involved. That means school activities, sports, play-dates, etc. The more involved you are in their lives the more you will know what is going on. Plus this gives you a chance to observe your child in different settings. A great way to be involved in their school is to volunteer. 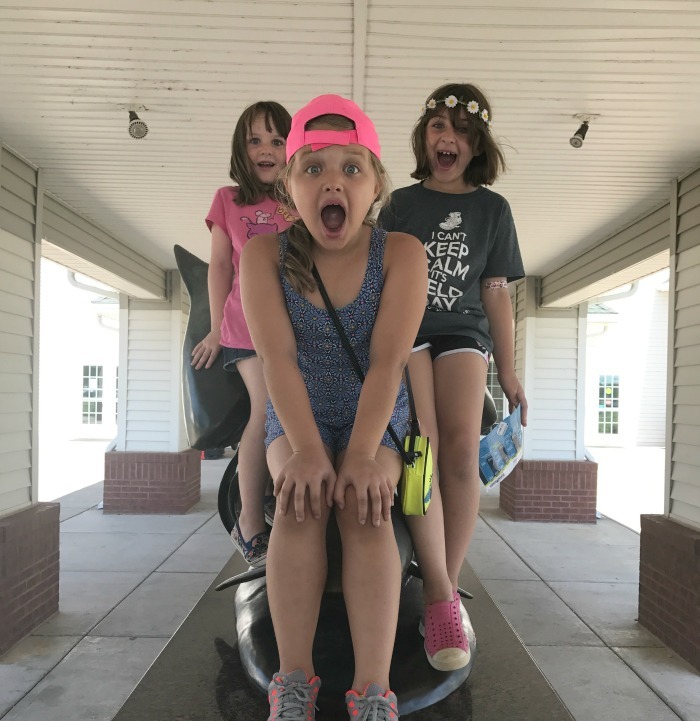 You can join the PTA or even help chaperon a field trip. Child lead by example so make sure you give them a good one to look up too. If you are kind to people, chances are they will be too. I see a lot of adults who are bullies themselves and then they wonder why their kids are being bullies. Since my kids were little I have tried to teach them to be kind to everyone. To always be that person that goes up to the new kid and introduces themselves. I’ve also taught them to always stand up for other people, especially if they think they are being bullied. Sometimes it only takes that one person or that one action to make a huge difference. There are a lot of fantastic resources out their for not only parents but kids that are great for talking with your kids about bullying. 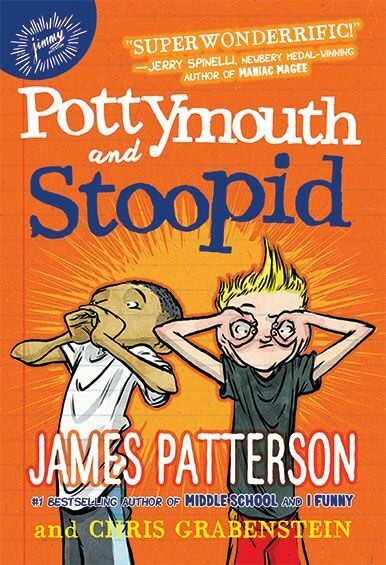 For instance there is a new book from James Patterson, the #1 author of the very popular Middle School series, called Pottymouth and Stoopid. This book really touches on this subject and will help open up a dialogue between you and your children about bullies. 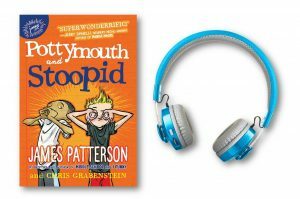 Both my son and daughter are HUGE fans of James Patterson so when I first heard about this new book I new it would be one that they both would enjoy. And I was right! Aubrey wasted no time digging right into this book and actually had it read during a recent road trip. After she was done reading it we had a great talk about bullies and things that may happen at her school or around her friends. This book really helped open the dialogue on a very important discussion. I encourage you to check this book out. You’re kids will love it! I am so excited to be giving away a very special “Drown out the Bullies” prize pack that includes that following. (1) Pair of Wireless Noise Reduction Headphones to drown out the bullies! To Enter just follow the instructions below using Rafflecopter. Good Luck! I have not dealt with bullies with my kids so far but I was bullied a bit as a kid. I am lucky that I have not had to deal with bullies but some of my friends kids have had issue in the past. As a young kid, I was very quite and yes was bullied in school. 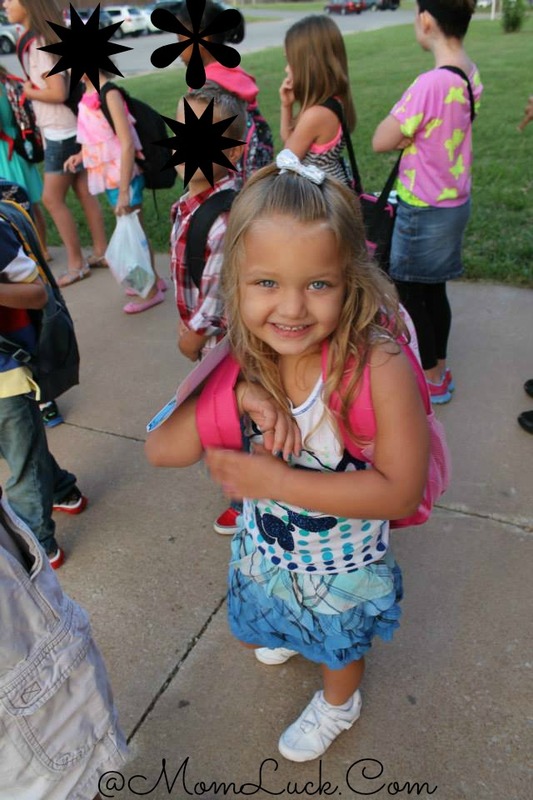 I haven’t had to deal with bullies, but I do teach my kids to be kind to others! I had to deal with really horrible bullying throughout elementary and middle school. It’s not something I would wish on anyone.